why not use stereographic projection instead of spherical coordinates? You're right, I wrote it quickly, but it should be possible to get rid of all the trigonometry, so make it run faster too. Though this visualiser is not ideal, I need to write one which works better for transforms with poles in them. 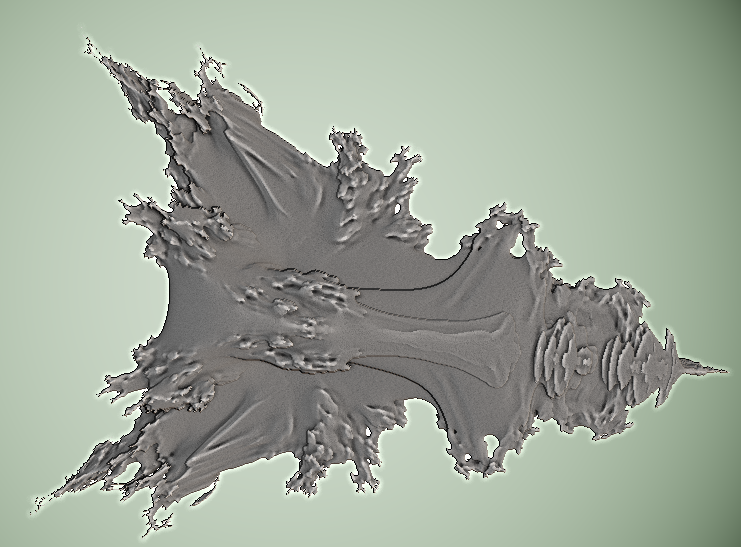 I think this formula is absolutely wonderful - never seen a so pretty power 2 Mandelbrot, it's the only contender of Aexion's find so far! I am sorry that it renders slow, I hope that it will become very widely used! And OMG guys already a variant have some mercy!!! Also now I will try to find "higher powers"
Here is the stereographic projection variant. More "whipped cream" but the julias are interesting: for some C you have 2d julias encraved in. 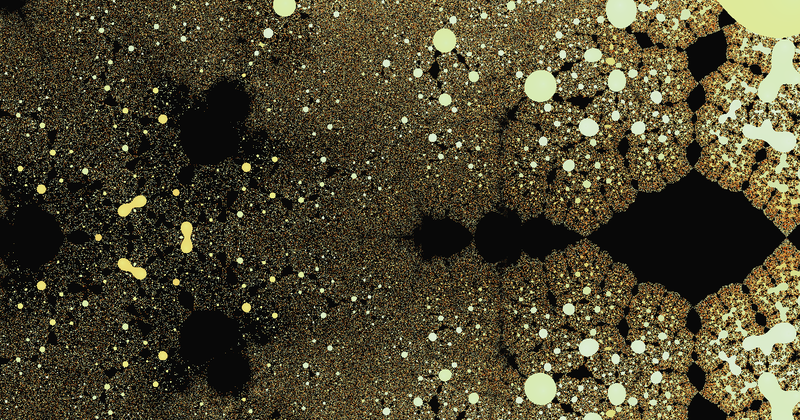 Within tetra function, multiply z by some complex number just before transforming back to the sphere (a similarity transform). 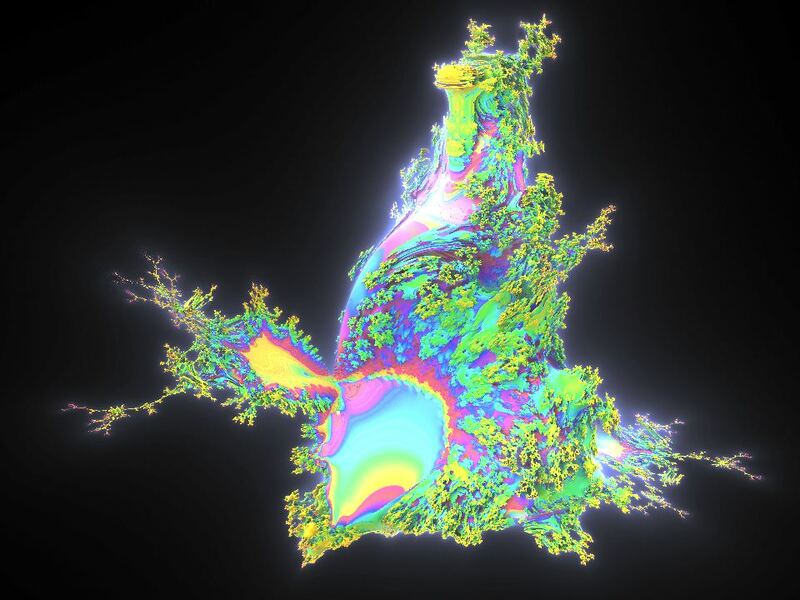 lol, how nice, although i wonder what is special about the new formula, it definately produces cool pictures in 2d show those nice 3d spirals !!! In your formula(s) there are always points where the derivative vanishes (=0). (tere are 6 here). those have 180° rotation. Is it possible to modify the formula in order to transform those points from parabolic (dervative=0) to conical (derivative!=0)? I think that would reduce a lot the stretching. 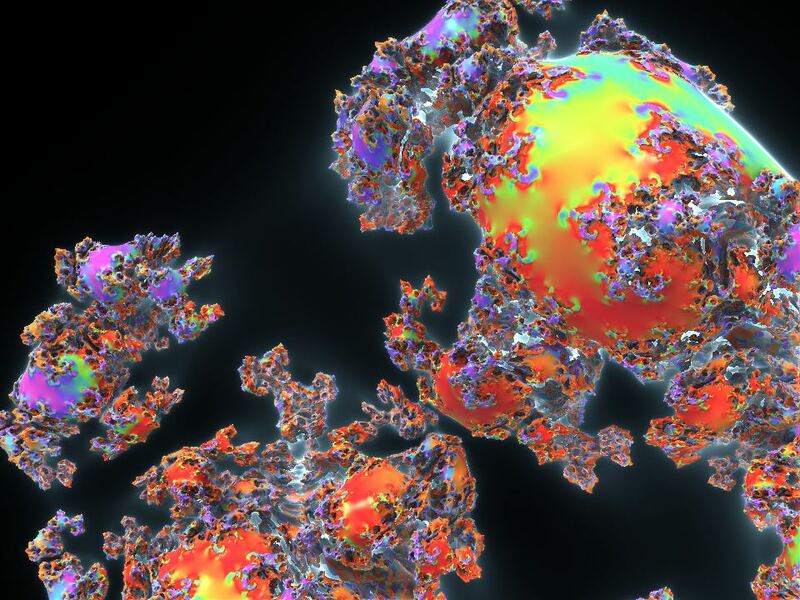 outstanding, is the formula available in Mandelbulb? Christian I can easily find some marine creatures and curious swirls in my variation, not so lucky with Tglad's original!